After buying your latest pack of tarot cards, attending a hundreds of psychic fayres, being mistaken for Gypsy Rose Lee whilst wearing your latest hoop earrings and snazzy head band. After catching a glimpse of Aunt Nellie’s ghost pinching from the biscuit tin, you might be justified in pondering on “how to become psychic”, especially since it is startling obvious you have a gift. After all, you even chided Aunt Nellie when you caught her going for your favourite chocolate biscuit. 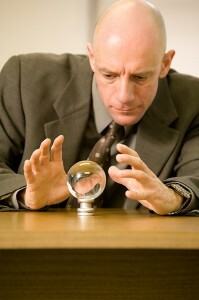 Joking aside, how to become psychic is more than a great task to accomplish in a life time. The strange fact is that you probably are already psychic, but perhaps unaware of it, totally unaware of it. You might think learning how to become psychic could mean meditating upside down, sleeping on a nail mattress, hiking up a Himalayan mountain, kissing the feet of a guru, or swearing allegiance to some New Age deal! But frankly, you have to do none of these things, in fact that great Beatles song “Let it be!” could be more to the point no matter how much planning how to become psychic might tempt you. Yes, you could draw up a future blue print comprising arduous tests in spiritual self discipline, such as a yearlong grape diet, a “colon cleansing”, and a course of Zen meditation in a war zone. But we advise you instead, let the word “psychic” rattle around your brain until the proverbial penny drops. What penny? Okay, prepare yourself for the amazing answer. How to become psychic means opening your heart to love. Now that might sound trite, but we promise you love is the fundamental key to seeing beyond the veil. When one loves, one sees truth, one knows the past present and future, deep within one’s core. Aw come on mate you will say “everyone knows you have to “train” to be a psychic, especially if you want to develop your gifts!” Okay, we agree, if you want to make it a profession, hang out with other empaths, create a spiritual circle, or meditate because those actions will add to your metaphysical evolution. But still, we insist on returning to the same advice, or dare we say it, truth of how to become psychic. Open out to the deeper resonance of empathy, of forgiveness, of kindness, of forbearance, of tolerance. Because you can bet the world needs your love, you can also bet your loving heart will want to heal others, will want to look at life with wise kind eyes that are never judgmental or unkind, or “know it all” Instead you will be inclined to laugh a lot and give a lot, you will be inclined to stand up for the “picked on minorities”, and want the best for humanity. You will want to be a loyal, friend, a kind mother, a good employee, a visionary boss, a loving wife and giving lover. Usually psychics handpicked to work on live or telephone lines are tested, not only for their psychic skills, but for their empathy, good character, patient nature, and loving advice. No company wants an argumentative “know it all” psychic scaring customers away with terrifying, untrue predictions. You see one of the main lessons one has to learn. if one wants to learn how to become psychic, is that going against Spirit, using dark arts, infiltrating another’s will or even their thoughts, trying to boss people around, get one over, gossiping, and putting oneself on a pedestal are a definite no, no, for the true empaths, mediums and psychics working for the good of the universe. Truly gifted psychics will be kind even when they see you are banging your head against a brick wall, day after day after day. Why are they kind, and why will you be kind when you learn how to become psychic? Because, as we said above, you will have got to a point in your ever evolving life when you will know for sure that loving your fellow man is the most important action you could ever take in this life, and that a truly wise heart will help you see through the illusion, right into the Great Light beaming over humanity and defining past present and future. It is that light that will make you an empath, someone who understands another’s suffering, not just your own ambition or self importance. So yes, climb Mount Everest, talk to the Guru, even take a walk down the “yellow brick road” to check out the Wizard of Oz, but never forget “how sweet the taste of love” actually is and how it is the key to “clairvoyance” “mediumship arts” and “visionary experiences”. That is certitude. Without love, you will only touch the surface of the magical and metaphysical!